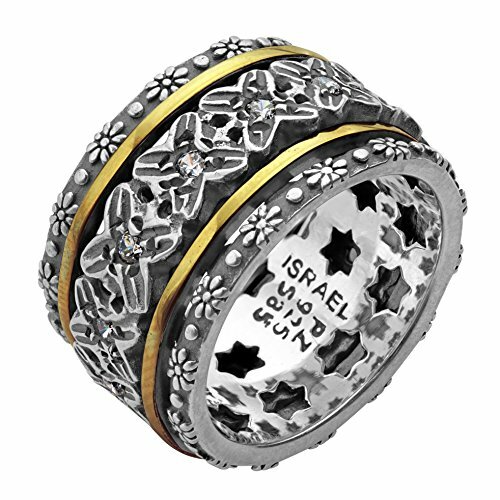 Paz Creations Ltd. Is a leading Israeli ♥ Fine Jewelry manufacturer that designs and distributes unique silver and gold jewelry for worldwide markets. We at Paz Creations are your one stop shop for irresistible and affordable jewelry to suite all your fashion needs. This floral beauty will enhance any look. This ring has a center Spinner that adds movement and elegance to this ring and will let you gently spin the center to create a relaxed feeling.